A histogram is a great tool and learning to use your camera’s histogram is a great idea. The thing is though, if you’re using it properly, you’ll know that you can’t rely on it entirely. You do need to observe the scene and make a decision too, because you know more than the histogram about what you’re shooting. Many editing programmes also have a histogram, such as in the develop module of Lightroom. Why do I need to know how to use a histogram? What are a histogram’s weak points? Histogram myths. How does a histogram work? 1. What is a histogram? In photography, a histogram is a graph that represents the tonal variation in an image from dark shadows to bright highlights, and everything in between. You view a histogram on the back of your camera to get an indication of whether you’ve over, under or correctly exposed your image. 2. Why do I need to know how to use a histogram? I find the histogram particularly useful when I can’t see the image in the LCD, like when I’m shooting outdoors on a really bright day. In fact, I always wonder how on earth anyone can decide if their image is correctly exposed purely by checking the back of the camera. When editing in Lightroom, the histogram helps me to ensure that my edits don’t push the exposure too far, causing loss of detail. It also separates the colors out, which is helpful for ensuring all colors within the image are well exposed. However, histograms are not living beings. They don’t exercise judgement of what’s in a scene or how bright it is meant to be. They only know how to report back the data of the scene. Which leads me to my next point. 3. What are a histogram’s weak points? In other words, why can’t you rely entirely on your histogram to determine your image is correctly exposed. If you find yourself lucky enough to be photographing a polar bear in the Arctic, you’ll know that there’s a whole lot of white and not a lot of other colors, except for the bear’s eyes and nose. However, your histogram doesn’t know what you’re photographing, only that there is a whole stack of white and just a smidge of black. So, when you look at the histogram of your polar bear photo, you’ll see that the right of the graph is full of information and the left is barren. The reverse is true for a photograph of a black cat on a black background. Lots of black with the only other color being the eyes. Your histogram is going to bunch up on the left of the graph. Now let’s imagine you’re photographing a herd of black and white cows in a green pasture with a lovely blue sky above. Now we have variety – midtones in the sky and grass, contrasting black and white in the cows. Your graph will be mainly in the middle with information spread across the graph. If it is bunching to one side or the other, your shot is under (left) or over (right) exposed. That’s a really simple explanation. Let’s get into the details of reading a histogram. 4. How does a histogram work? Let’s use this photo of a two year old with a serious passion for chocolate cake. On one end of the tonal range we have dark chocolate cake, in the mid range we have green grass and skin tones etc and on the other end a white dress. I’ve used Lightroom histograms to demonstrate. The image was accurately exposed in camera and I’ve decreased and increased the exposure in Lightroom to show you how this changes the histogram. Most of the time, to get an accurate exposure, you need to make sure that the graph doesn’t touch the left and right sides of the box. If this happens it means that your image is either under or over exposed, as you can see in the examples below. When an image is under exposed we refer to the blacks as being “clipped”, when over exposed, we say the whites have been “clipped”. When taking a shot, if you clip the whites all detail will be lost in that area and it will be recorded as pure white. There is no coming back from that in post production. When you clip the blacks you can still retrieve some of the information in that area in post production. So it is better to underexpose than to overexpose. This is one of the reasons why shooting in RAW is better than JPEG. Speaking of which, remember that the image you see on the LCD of your camera is a JPEG image. If you are shooting in RAW, which has a higher dynamic range than JPEG, more detail will have been recorded than what you see in the image on your LCD. So if there is clipping, it might be less than it appears on your LCD. Don’t fall into the trap of thinking you have to have a perfectly domed hill right in the middle of the histogram. If your spike in the middle of the histogram hits the top, that’s fine. It just means there’s a lot of that particular tone in the image. Clipping only happens when the graph hits the left or right side. The histogram example from the back of my camera shows this pattern. If you photograph a black cat on a white background, it is a high contrast scene because of the use of both ends of the tonal range. Your histogram will show peaks towards both ends with a dip in the middle, like a U shape. Have you heard of exposing to the right? This is ideal for when you’re photographing a subject of mid-tones. So the contrast in the image is low, with no dark areas and no bright areas. In this instance, to get a correctly exposed image, the histogram should read as far to the right as possible, without clipping. 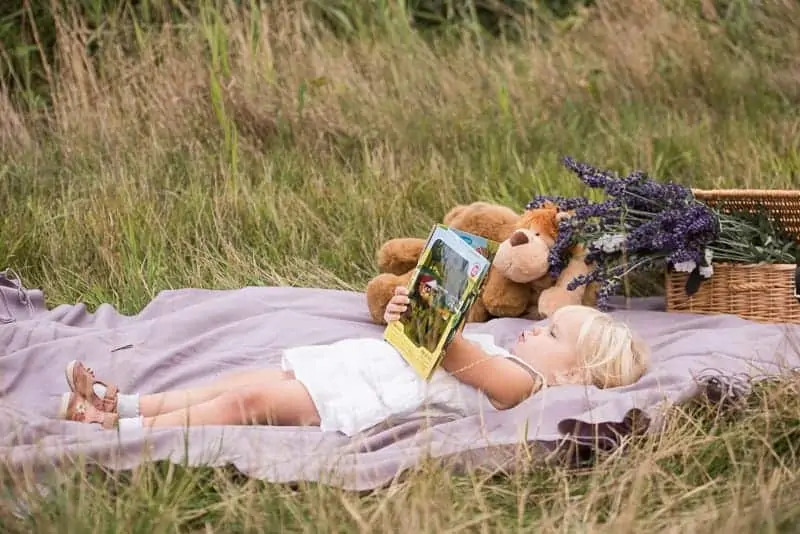 High key scenes – brightly lit scene with little or no shadow, such as in a studio with a bright white background, or scenes with a lot of white, such as the polar bear example or the image in the histogram at the start of this article. Low key scenes – dark scenes with a lot of shadow. Now that you know how a histogram works, it is helpful to know that many cameras are equipped with different types of histograms. You’re probably familiar with the luminance histogram – the one at the start of this article. That’s the one that shows a white graph on a black background, or vice versa. This measures the overall brightness (luminance) of the scene. An RGB histogram is really useful for establishing if any of the red, blue or green parts of the image have been clipped. If you have this function set on your camera, you can see separate red, blue and green graphs. See the image below. The good news is that, as long as you know how to read a histogram, you can understand both types of histograms. The key word in my statement at the start of the article was “entirely” – you shouldn’t rely entirely on your histogram. As usual with photography, it is up to the photographer, not the camera, to make the final decision on the outcome of an image, but with a little guided help from your camera’s clever tools. 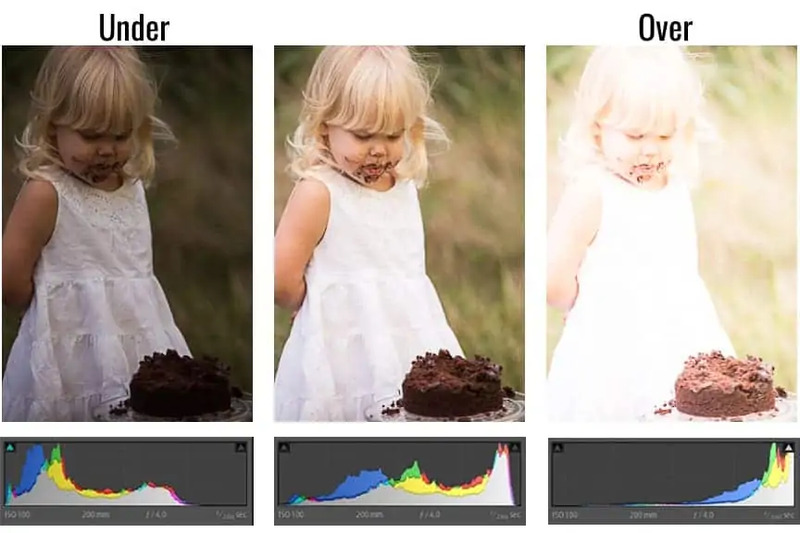 If you have any questions about how to read a histogram, let us know in the comments. Also, we love good news, so if our histogram tips have helped you to understand how it works, share that too. 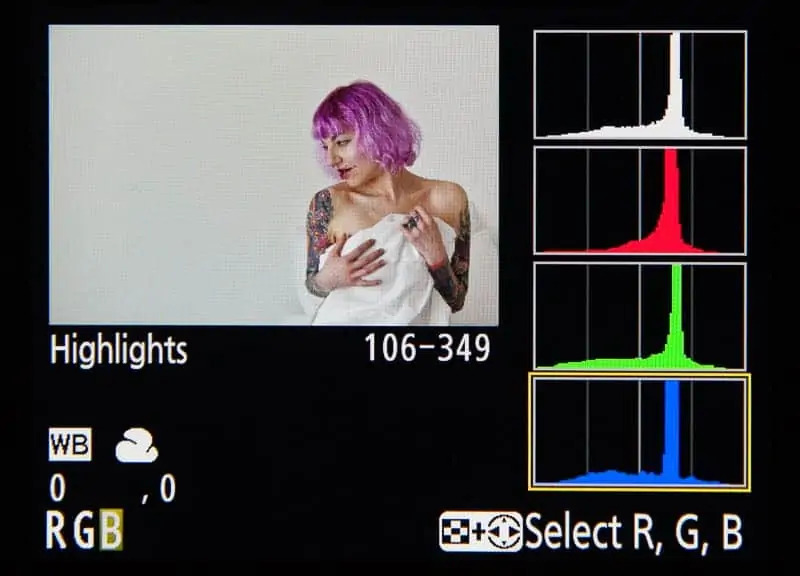 Will this photography tutorial help you to read histograms?